To remove some of the salt from the mackerel, soak in water overnight or boil in hot water for 30 minutes. Drain water from the mackerel and cut into small pieces. Combine coconut milk and water in a frying pan and boil to an oily custard. Add the mackerel and cover the pot. Cook for 10 to12 minutes on medium heat. Add and stir the onion, garlic, escallion, tomatoes, scotch bonnet pepper, thyme and vinegar. Lower heat and simmer for 10 minutes. 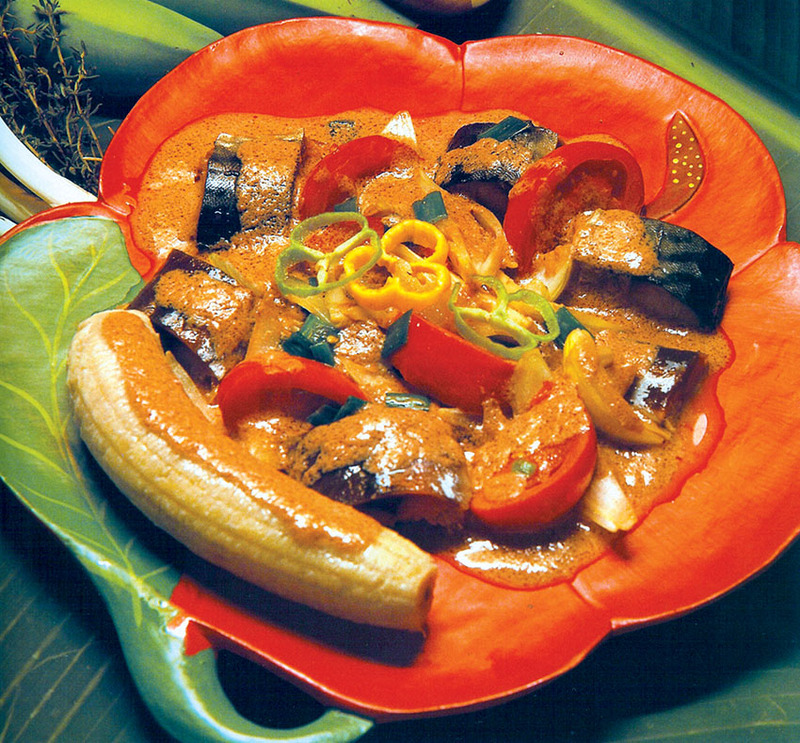 Serve, using all the oily custard, with green bananas, yam, roasted breadfruit and dumplings. Alternatives: Prepare and substitute saltfish (cod), vegetables, or chicken for the mackerel to create other rundown dishes.